BUFFALO, N.Y. – If you’ve ever been in a car accident, you know how devastating they can be; even when it’s minor. There can be a multitude of unforeseen costs associated with a car crash, many of which can be exacerbated by injuries and stress. Whether you were driving your own car, renting a vehicle, taking a cab, ridesharing, or riding a bus, your responsibilities – and risks – can change. In fact, your responsibilities and risks can differ from city to city and state to state. The U.S. Department of Transportation (DOT) estimates there are over 6-million car crashes every year. In each of these accidents, there’s a high risk of someone getting injured. In fact, most injuries occur either at home or in the car. Almost all car accident happen when at least one driver is careless. Unfortunately, not every crash is so black-and-white. Legally, negligence is more complicated. In situations where multiple drivers were negligent, it can be determined that one was more at fault than the other. In New York State, liability is often determined using percentages. This is called comparative negligence. For example, if an injured driver was awarded $100,000 and a jury determined that the driver was 25-percent responsible for the crash and resulting injuries, that driver would be awarded $75,000 – or 25-percent less. In some states, an injured driver can recover compensation for their injuries in the amount based on the other person’s fault; and it doesn’t matter how negligent your actions were that led to a crash. However, most states are more restrictive, and an injured driver may not be entitled to any compensation if they were more than 50% responsible for a crash. A FREE consultation with a Buffalo car accident lawyer at Cellino & Barnes could help you evaluate your liability as a driver, based on your specific circumstances. If you’ve ever rented a vehicle, you were probably forced to consider liability insurance before they give you the keys. Laws regarding rental liability greatly differ from state to state and in some cases, collision damage waivers are not allowed. There’s also a long list of exclusions that could apply, if you were to obtain insurance for a rental car, including negligent driving, driving on unpaved roads or driving under the influence of alcohol. Buffalo car accident lawyers also suggest inspecting your rental car before signing for it, as you could be held liable for damages caused by previous users. If it’s not documented, the cost to fix it could fall on you. It’s important to note that your own car insurance policy may not provide coverage if you’re in an accident while driving a rental car. In most scenarios, the rental company has done everything possible to shift liability to the driver. If anyone is ever injured in a crash involving a rental car, the company is usually not a party. But there are several exceptions. Buffalo car accident attorneys say rental companies can be found negligent if their vehicle wasn’t properly maintained, or if they knew about a defect. For example, if the vehicle you were driving had an open recall for defective brakes, and the faulty brakes are determined to be a factor in a crash. 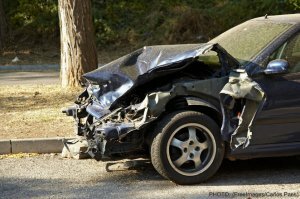 There are many factors in car accidents, and some are never even considered until late in the legal process, but the attorneys at Cellino & Barnes have focused their practice on helping those who have been injured in car crashes – and their experience could help you and your family get the best result possible from a claim. If you have any questions following a crash involving a rental car, contact an attorney for a FREE case evaluation. These are quickly becoming a preferred way to get around your city, or others while visiting. Most of the taxi and ridesharing companies have insurance policies in place to protect passengers, but these policies are often limited. While most cities require taxis to have commercial insurance policies, which range between $250,000 and $500,000, ridesharing is not as tightly regulated. However, both Uber and Lyft policies state that the companies will provide up to $1 million in damages if there is an accident. But there are more concerns passengers should be aware of. The driver (or cab company) also has a responsibility to maintain their vehicles. A report from Cars.com found that as many as 40-percent of taxi cabs had open recalls that haven’t been addressed. An unfixed recall can cause serious problems on the road. Coverages between ridesharing and taxi cabs can differ from city to city, and the amount an injured passenger is entitled to can be drastically different, depending on the specific string of events that led or contributed to a crash. In any scenario, injured passengers are urged to obtain a FREE consultation with an experienced personal injury attorney. All buses and travel coaches are required to be licensed and carry minimum insurance coverage, which can differ in the amount from city to city. Additionally, for-hire carriers are required to have minimum insurance coverages of $1.5 million, if transporting less than 15 people or $5 million, if transporting 16 or more. However, the rules differ from state to state and some vehicles may not be considered a ‘bus’ at all, and injured passengers would need to obtain compensation from the driver or the company directly. Insurance is often complicated and diverse, and unless you are highly trained in insurance matters, obtaining compensation alone can be difficult. Fortunately, the Buffalo car accident lawyers at Cellino & Barnes have helped thousands of victims get over $2 billion in settlements and verdicts. Their experienced and trial-tested lawyers have handled all types of personal injury cases, and that experience can help you and your family get the best result possible from a claim. When an accident happens, call Cellino & Barnes for a FREE consultation. 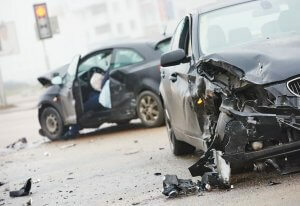 NEW YORK – There are roughly 3-million car accidents in the United States every year. Being involved in one can be hectic and stressful, so it’s important to know what you should do if you’re involved in an accident. Put Yourself First – Check yourself for injuries like broken bones, cuts or bruises. Check Your Passengers – If you have others in your vehicle, check them for similar injuries. If anyone in your vehicle is injured, immediately call for medical assistance. Do Not Move Your Vehicle Unless Instructed By Authorities – If anyone was moderately or severely injured, police will likely need to reconstruct your crash. This process is much easier if the vehicles are not moved. Even if other drivers insist on moving your vehicle, refuse until the police have arrived. Contact Authorities – If anyone is injured, call 911. This service will direct the proper authorities to your crash scene. This could include police, the fire department and an ambulance service. Assess the Damage – NEVER leave the scene of an accident for any reasons. NEVER admit fault for an accident. Even if you believe you are responsible, there may be other factors that contributed to your accident; the other driver may have been under the influence of drugs or alcohol, or the traffic light may have malfunctioned. There are many variables that must be assessed before determining who is at fault. It is also important to write down the license plate numbers of all other drivers involved. If for any reason a driver decides to flee from the accident scene, you will have vital information that can help police locate the other driver. If possible, immediately take pictures of the accident scene before other drivers move their vehicles. Be sure to take photos from multiple angles and include pictures of the intersection or roadway markers. These photographs could be helpful later. Exchange Information With Other Drivers – Gather all the information you can. Get the names of every driver involved, and every passenger too. Take Notes – While you’re waiting for authorities to arrive, write down everything you can remember about the accident. Were there any injuries? If so, what were they? You may need to answer these questions later, and relying on your memories of an accident can be difficult, and they’re often incomplete. A written record of what you saw and what you heard is the most accurate way of recalling these events. If you or any of your passengers were injured in a crash, contact a Long Island car accident lawyer at Cellino & Barnes. Our consultations are FREE and our attorneys are available 24/7 to answer your questions. Drivers: If you were injured in a car crash and you believe the accident was not entirely your fault, our Long Island car accident lawyers can provide you with a FREE case evaluation. 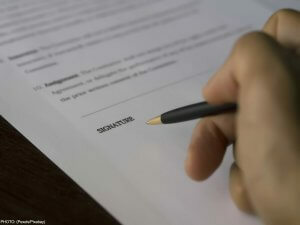 Hiring an attorney ensures that your legal rights will be protected. Passengers: Regardless of who was at fault, you may be entitled to compensation for any injuries incurred as the result of a car crash. The Long Island car accident attorneys at Cellino & Barnes can protect your rights as a passenger and ensure that you are getting the best result possible. Contact a Long Island car accident attorney today to find out what your case is worth. ROCHESTER, N.Y. – Car accidents happen every minute of every day. In fact, around 3-million people are injured in car accidents every year. They’re also expensive. Not only do drivers have to contend with the costs associated with fixing their vehicle, an average injury can cost over $40,000. That’s why we have auto insurance, but the insurance companies rarely cover all the costs associated with an accident. Most people who are injured in a crash will hire a car accident lawyer to help them recover these costs. Anyone can file a personal injury claim, but it can get very complicated very fast. The big insurance companies will have their own team of lawyers working against you. These lawyers know the rules and laws that govern personal injury, and depending on your situation, they can effectively reduce the amount of compensation owed to you and your family. The Rochester car accident lawyers at Cellino & Barnes can be your advocates, and make sure the big insurance companies and their legal teams aren’t shortchanging a car crash victim. It’s common for insurance adjusters to offer accident victims a small amount of money immediately after a car crash. They’re hoping that this amount will be enough to keep you from hiring an attorney. After all, most insurance companies aim to protect their clients – the negligent people responsible for your injuries. Experts in the insurance industry estimate that when a Rochester car accident attorney gets involved, the value of a case skyrockets, four times or more. That’s why many insurance companies will call you, visit you and do everything they can to get you to sign your name and settle a case before you even have a chance to talk to a lawyer. Insurance is a business, and they’re not in the business of giving away money that they don’t have to. An experienced Rochester car accident attorney can make sure you’re getting fair compensation for your injuries – but that’s not the only reason you should hire an attorney after a crash. There are deadlines to be met. Most states will have a statute of limitations. These local laws place a cap on how long you can wait before filing an injury claim. Your attorney should know these laws, and will meet these deadlines. There are rules to follow. Some notices need to be filed within a certain amount of time. Police reports, for example, may need to be filled out and/or obtained immediately following an accident. The Rochester car accident lawyers at Cellino & Barnes are well-versed in these legal rules, and they can explain how each one could impact your case. Laws are different in every state. Each state has different insurance rules. They also have different liability rules. 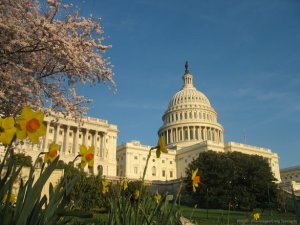 Even cities and towns may have unique laws that can impact the amount of compensation you’re entitled to. When you hire an attorney, they need to know the laws that could affect your case. Liability can be complex. There’s no such thing as a “clear-cut” case. Even when there are witnesses, police reports or video evidence, proving negligence can be difficult. The lawyers working for the insurance company will be gathering every piece of evidence they can find to discredit your injuries and reduce the amount owed to you. An experienced car accident attorney will be on your side, gathering evidence that will help you get the best result possible. Many underestimate your financial loss. Injuries are often complicated. What may seem like a minor ache can grow worse over time. What seems like a simple visit to the doctor now could turn into expensive treatments down the road. As one of the largest personal injury firms in the nation, Cellino & Barnes can use a variety of resources and expert witnesses such as doctors and surgeons to help determine how an injury will affect you now – and in the years to come. Proving a case can be difficult. The law is rarely crystal clear. There can be legal loopholes and other complexities that could help – or hurt your case. In addition, insurance companies will not always agree to your terms, and a trial may be necessary. Some law firms are only experienced with negotiating settlements, but at Cellino & Barnes, our Rochester car accident attorneys will prepare your case for trial because, in our experience, it helps our clients maximize their compensation. If you decide that obtaining an attorney is the right choice for you, you’ll have several options to choose from. Any lawyer can file a claim on your behalf, but many law firms, both large and small, have a wide legal practice. Some lawyers handle personal injury cases alongside divorce law, commercial law, and other practices. At Cellino & Barnes, our attorneys focus on personal injury, and only personal injury. We are immersed in this field, allowing us to know and understand all the rules and nuances associated with personal injury law. In addition, all of our Rochester car accident lawyers are trial-tested and prepared to do what it takes to help you and your family get the best result possible. Contact a Rochester car accident attorney to discuss the details of your case for FREE. NEW YORK – There’s a construction boom with as many as 150,000 workers building homes, businesses and offices around the city. Some projects are daunting, but the biggest challenge these workers face is safety. Since 2015, thirty construction workers have died at New York work sites. In response, City Council introduced the Construction Safety Act in January. The legislative package consists of 21 bills that aim to regulate, change and enforce safety in construction zones. Parts of this package have been controversial, drawing protests from both sides. However, most of those who will be impacted by these bills agree that there needs to be a commitment to safety. The problem has been, and still is, determining what policies will be most effective. A New York construction accident attorney at Cellino & Barnes says most serious injuries occur after a fall, but almost all construction injuries are preventable. In 2015, falls accounted for 364 out of the 937 total deaths in construction. If falls, electrocutions, falling objects, and pinning accidents could be prevented, the Occupational Safety and Health Administration (OSHA) estimates 602 lives would have been saved that year. OSHA is the arm of the Department of Labor which ensures that construction sites are abiding by today’s safety standards. However, there are gaps in the standards themselves. New York construction accident lawyers say many workers receive little-to-no training, and some work sites lack proper supervision. Superintendents in New York City are only required to take a 10-hour OSHA course in construction safety, and many organizations feel that is not enough. The Building Trades Employers’ Association has recommended at least 30-hours of training for construction superintendents. According to research from the Center to Protect Workers’ Rights, those who received safety training were 12-percent less likely to file for workers compensation. It is the employer’s responsibility to provide workers with adequate training and safety equipment before placing them in a construction zone. Unfortunately, not all workers get the same treatment. Construction accidents can be serious and life-altering. Many victims may not be able to work again, while others may experience a decreased value of life. Although some injuries and scars may never be healed, there is a process to get financial compensation after an accident. If you or a family member has been injured on a construction site, contact the personal injury firm other New Yorkers have trusted for over 50 years. A New York construction accident attorney at Cellino & Barnes can provide you with a FREE case evaluation, and they will custom-make a legal claim for your specific needs. 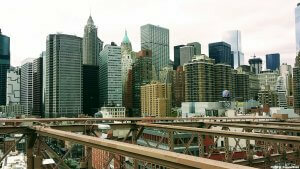 NEW YORK – Construction safety is a hot topic in the metro-area, and for good reason. In the past two years, more than 30 workers have died on work sites – and many more have been injured in preventable accidents. It’s not a trend the city is particularly proud of. Recently, city council passed a bill that would track and publish a list of accidents at area construction sites. In the past, many accidents went unreported, but the newly passed legislation aims to reduce that bad habit by fining companies up to $25,000, if they fail to report an accident. Other safety measures were included in the bill aim to make work zone safety a priority in New York. But a Brooklyn construction accident lawyer at Cellino & Barnes says the concerns extend beyond city and state borders. Construction Dive, an online publication, recently reported on several statistics that should be concerning to anyone working in, or with family in the construction industry. 4% – How much private construction fatalities have increased in just one year, according to the Bureau of Labor Statistics. Researchers found that workplace incidents are at their highest number since 2008. 47% – The share of fatalities that happen at small companies, or businesses with fewer than 10 employees. According to the Associated General Contractors of America, nearly half of all construction accidents involve smaller, often privately-owned, contractors. The Brooklyn construction accident attorneys say there is often less oversight at smaller companies, increasing the risk for workers. 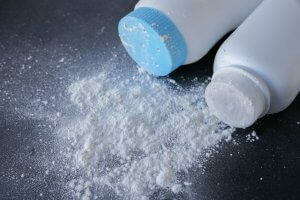 250 micrograms – The maximum measurement of silica dust workers are legally allowed to be exposed to. This is an important number because contractors will soon be required to adhere to more stringent policies. This fall, OSHA will begin enforcing a new silica rule, which only allows workers to be exposed to 50 micrograms per cubic meter over an eight-hour period. Silica has been linked to lung cancer, kidney disease, and many other illnesses that are currently affecting thousands of Americans. 6,929 – The number of citations construction companies received last year for failing to provide workers with safety equipment that can reduce, or eliminate injuries as the result of falls. 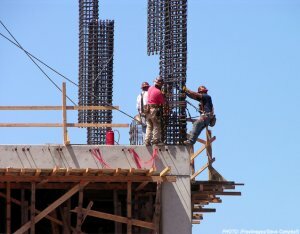 Falls are the leading cause of injury on U.S. construction sites, and many contractors are required to use harnesses, helmets, and other fall-protection items. 553,000 – The number of lives that have been saved due to regulations implemented in the Occupational Safety and Health Act of 1970. According to the AFL-CIO, safety regulations are working – but Brooklyn construction accident attorneys say there’s room for improvement. If all contractors supplied their workers with the most up-to-date training and safety equipment, most accidents could be prevented. $1.5 Million – The fine one company received after a 2016 trench collapse killed a worker. That’s just the fine. There are other costs associated with a serious construction accident. Unfortunately, insurance companies aren’t quick to give construction workers the maximum compensation they’re entitled to after an injury; and obtaining a strong legal advocate can help families get the best results possible. The Brooklyn construction accident lawyers at Cellino & Barnes have helped many families in their fight to get what is fair, and the New York law firm has obtained over $2 billion for injured clients. If you or a loved one has been injured on a work site or while operating heavy machinery, a Brooklyn construction accident lawyer at Cellino & Barnes can fight to get you compensation that will help cover the costs of medical bills, lost wages, pain and suffering, and more. NEW YORK – Winter has wrapped up (about time) and the temperatures are starting to rise, but some places already have amazing weather. It’s time for a spring vacation! But before you leave the city for a Gulf-coast beach, be prepared – and make sure your spring break isn’t wrecked by serious injuries, or complicated legal matters. Some of the first types of injuries we think about during spring break are often alcohol related. Binge drinking is dangerous without combining other activities, but each year there are a handful of spring breakers – usually college students – who are hospitalized, or even killed, after drinking way too much. However, many accidents happen to innocent victims who are completely sober, and trying to make the most of their vacation. Assault and other criminal injuries – Sadly, some of our favorite tourist destinations are also troubled by high crime rates. Criminals often target tourists knowing that out-of-towners often carry cash or valuables with them. If you are ever attacked while on vacation, it is important to file a police report immediately. In many cases, victims of violent crimes may also be entitled to compensation from the convicted criminal, property owners, or others. In 2012, a college student filed a lawsuit against a spring break party sponsor after he was beaten and stabbed at a Texas beach party. Property negligence – these injuries can happen anywhere; from nightclubs to hotel lobbies, or even walking along a boulevard sidewalk. If you slip, trip or fall due to someone else’s negligence, a New York slip and fall lawyer at Cellino & Barnes can help you get the best result possible from a claim. Property negligence is broad, and it can also include injuries sustained as a result of falling objects, dangerous or sharp items, and others. If you believe a property owner was negligent in providing customers like yourself a safe vacationing environment, speak with a New York slip and fall attorney at Cellino & Barnes for a free case evaluation. Bus accidents – While visiting popular vacation destinations, you may want to take a tour bus to see the sights, but we’ve all heard of recent heartbreaking tour bus accidents in the news. While it’s easy to say that ‘accidents happen,’ the truth is, almost all bus crashes can be prevented. A New York bus accident lawyer at Cellino & Barnes says it is the tour company’s responsibility to provide safe transportation to all customers. In 2015, several lawsuits were filed against an amphibious tour bus in Seattle after it lost a wheel and crashed into another bus. 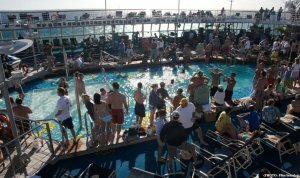 Cruise ship injuries – Cruises are extremely popular spring break retreats. A cruise ship injury lawyer at Cellino & Barnes says these massive boats may also be responsible for thousands of injuries each year. Unlike your typical land-based resort, cruise ships are always moving (even when they’re docked). Some of the most common injuries stem from slippery decks, falling objects and contaminated food on a cruise. In 2015, an Illinois vacationer received a $21.5 million award from a federal court, because he was hit in the head by a sliding glass door while on a cruise. Airplane injuries – Wherever you go for spring break, you’ll probably want to fly there. Every spring, the TSA screens over 65.1 million travelers. Most of these vacationers get to their destination without incident, but some may suffer serious injuries in-flight. While crashes are rare in the airline industry, accidents are not. It’s estimated that thousands of airline passengers are hospitalized each year after being struck by falling luggage. A New York airline injury lawyer at Cellino & Barnes says there are many other things that can go wrong on a flight, including burns from spilled hot beverages, tripping in the aisle, falling from sudden jostles, service cart injuries, and more. Recently, an airline passenger suffered a concussion and a broken nose after he was violently dragged off an overbooked flight. Spring break is a great way to get away from the city and all its worries, but accidents can happen anywhere. At Cellino & Barnes, our attorneys have won cases in all 50 states, and internationally. If you or a family member has suffered injuries in a spring break accident, the New York personal injury attorneys at Cellino & Barnes can explain your unique path to potential compensation, for free.